4 Top Acts introduced by Resident MC Pete Beckley. Born in Cairo, Egypt Tamer Kattan felt like he moved to the future when he left a 3rd world Islamic country for liberal and sunny California. Every city had a mall. Every home had a color TV and every woman…had a face. Having an afro, an accent and sweaters with elbow patches made Tamer an easy target for bullying and THAT is where he first discovered comedy. At the ripe old age of 7 he started performing stand up for his class mates. Having an abusive father gave him the ability to take a bullies punch, but the bullies couldn’t take it when he retaliated the only way he knew how: by making them the subjects of his school yard stand up routines. 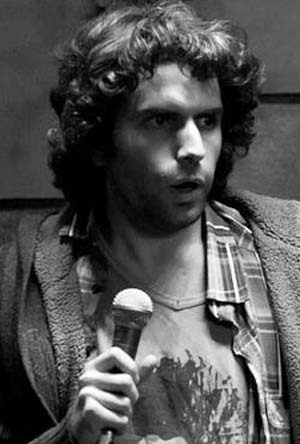 He is uniquely aware of the human condition and passionately believes that comedy is a weapon of the underdog. Don’t miss him live!